Committed to improving its smartwatch platform, Google is buying some of the intellectual property of Fossil Group’s smartwatch technology. The two companies have entered into an agreement, where Google will purchase intellectual property (IP) related to a smartwatch technology currently under development by the Fossil Group, for $40 million. The purchase is likely to be completed by the end of January. As part of the transaction, a portion of Fossil Group’s research and development (R&D) team currently supporting the transferring IP will join Google. Fossil Group will continue to retain more than 200 research and development team members to focus on innovation and product development. While there is still no clarification on whether Google will launch its own smartwatch to compete against Apple Watch and other smartwatches, Fossil Group isn’t ditching its smartwatch business altogether. “Fossil Group has experienced significant success in its wearables business by focusing on product design and development informed by our strong understanding of consumers’ needs and style preferences. We’ve built and advanced a technology that has the potential to improve upon our existing platform of smartwatches. Together with Google, our innovation partner, we’ll continue to unlock growth in wearables,” said Greg McKelvey, Executive Vice President and Chief Strategy and Digital Officer, Fossil Group. In recent years, smartwatches have been Fossil Group’s fastest growing category and the company has successfully developed and launched smartwatches across 14 of its owned and licensed brands. “Wearables, built for wellness, simplicity, personalisation and helpfulness, have the opportunity to improve lives by bringing users the information and insights they need quickly, at a glance. 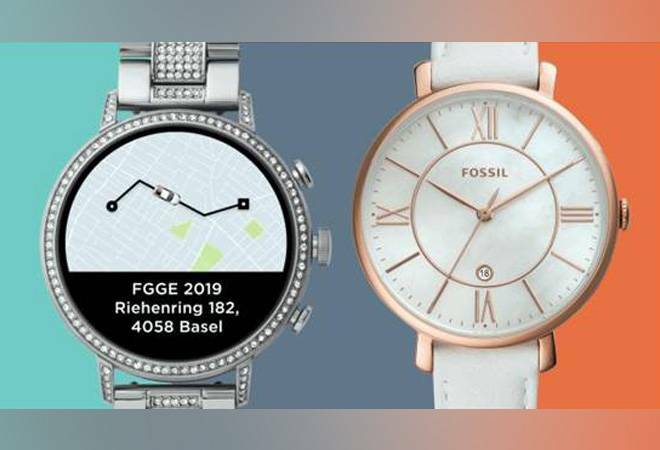 The addition of Fossil Group’s technology and team to Google demonstrates our commitment to the wearables industry by enabling a diverse portfolio of smartwatches and supporting the ever-evolving needs of the vitality-seeking, on-the-go consumer,” said Stacey Burr, Vice President of Product Management, Wear OS by Google. In March last year, Google has renamed Android Wear to Wear OS and has been working towards overhauling its smartwatch operating system. The Wear OS not just focuses on staying connected but features app such as Google Fit, Google Assistant, Play Music and gives access to third-party apps such as Spotify, Pandora, iHeartRadio, Runtastic, Lifesum, Strava, Uber and more. Over the years, Google has partnered with many technology and fashion brands including Tag Heuer, Emporio Armani, Casio, Huawei and Fossil Group to name a few, for smartwatches running on Wear OS.